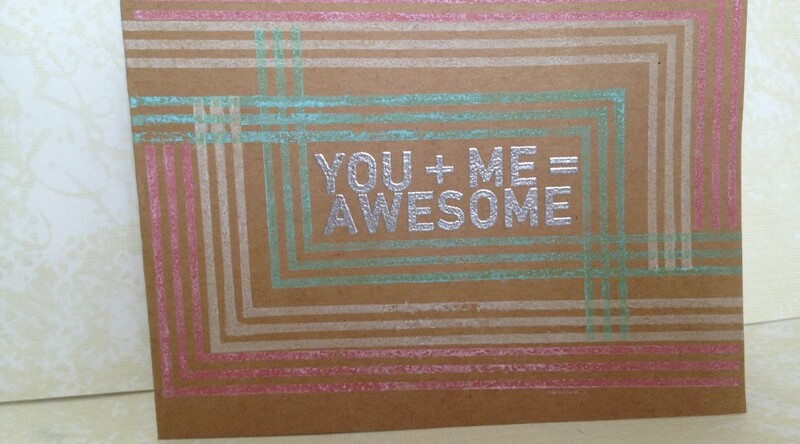 This card was selected as a winner for the Simon Says Stamp Flickr #78 challenge!! This is this first time one of my cards has been chosen as a winner of a challenge. While I was making Halloween and Fall card sets for the local basket raffle, I decided I should make a Thank You Set as well. 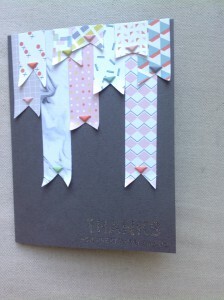 I made five cards and envelopes for this card set. Extra Details: I began these cards with five card bases made from water color paper. I stamped the strips in black ink on the left side of the card bases. I stamped the sentiment in the center of the card bases. 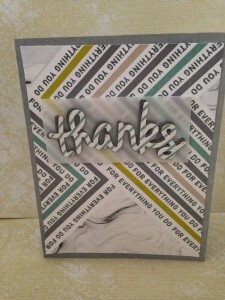 I wanted the sentiments to stand out a bit from the stripes so I clear embossed them. Then, I added some water color splots to the card fronts. 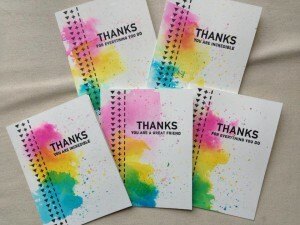 I used Distress Inks and acrylic blocks to add the color to each card. Once the slots were all dry, I added some flicks of the same color and a few black ones also. Clean craft area day really means make more cards! Here is a card I made with the Simon Says Stamp August 2017 Card Kit. 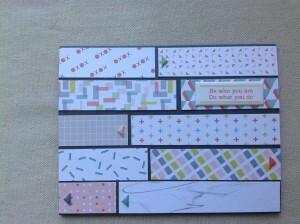 Extra Details: I began this card with a panel of the pattern paper included in the kit. 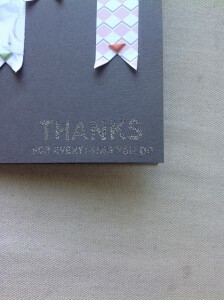 I used one of the small sentiments to stamp on the white areas of the chevrons. I added this paper to a grey card base. 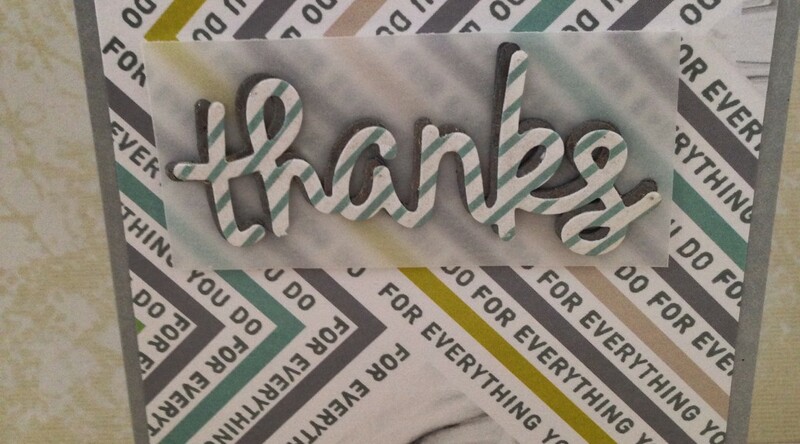 I die cut the large “thanks” from grey card stock four times. I glued them all together. 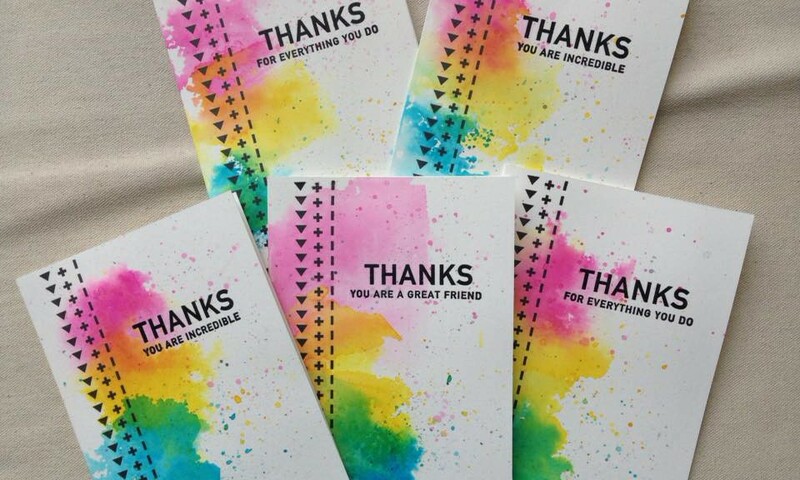 I die cut the same “thanks” one more time from some striped paper. I glue this to the stack of grey die cuts, but off set it just a little bit. 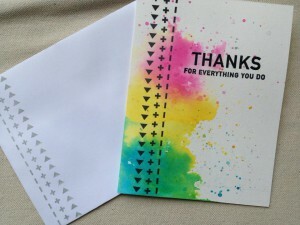 Once the stack of “thanks” was dry, I adhered it to a small rectangle of velum and adhered that to the card front. I was looking through the Simon Says Stamp August 2017 Monthly Card Kit today. I found this scrap of paper from one of the pattern papers included in the kit. The words at the bottom remind me of my grandmother. So I created this card for her. 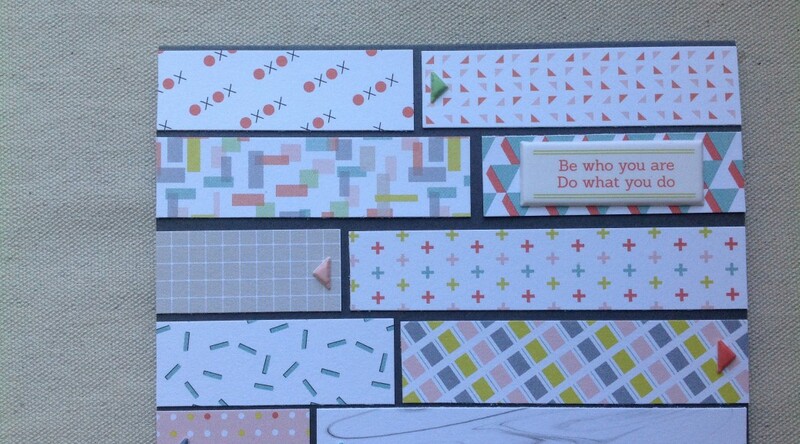 Extra Details: I began this card with a strip of pattern paper. I added a few stamped images about the words already printed on the paper. I used colored pencils to color the owls in and add a bit of ground. I cut a shallow fish tail to the bottom of the strip to create a banner shape. I found another larger piece of pattern paper to add interest to my card base. 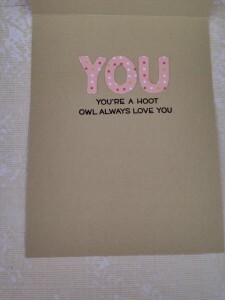 I used a light tan card stock to create a card base. I adhered the orange dotted paper to the card base. 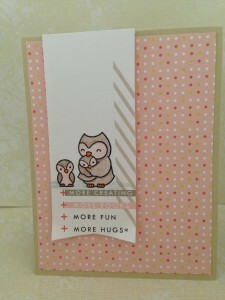 I used foam tape to adhere the banner to the card front. For the inside of the card, I die cut the letters for the word “you” from the same orange paper I used on the card front. 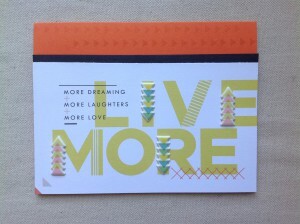 I adhered them down with liquid glue and added a few smaller sentiments in black ink. I was so excited to get another Distress Oxide ink pad in the Simon Says Stamp August 2017 Card Kit. I decided to play with the inks on colored cardstock. 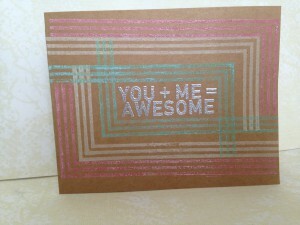 Extra Details: I began by silver heat embossing the sentiment in the middle of the kraft card base. I stamped the frame around the sentiment in Cracked Pistachio and Worn Lipstick Distress Oxide Ink. I used Lawn Fawn’s Yeti White Pigment ink for the white stripes. I sprayed a very light mist of water on the Oxide Inks. Once the water was dry, the card was finished. This is the third card that I made with the Simon Says Stamp August 2017 Card Kit. The patterned papers included are definitely designed for scrap book pages, but I am having fun trying to use them on 4.25” x 5.5” cards. 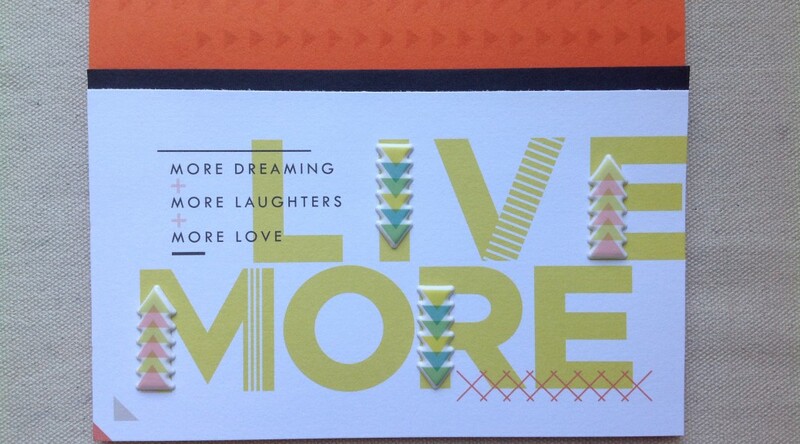 Extra Details: I began this card with one of the patterned papers that had some large words on it. I cut the piece down to fit on a card front. I layered a strip of black card stock at the top edge. I added some puffy stickers from the kit to the vertical lines of the words for interest. I chose an orange card base for this card. I added some triangles in a light grey ink to the top portion for more interest. I adhered the large word panel to the card base with fun foam and the card was finished. This is the second card I made with the Simon Says Stamp August 2017 Card Kit. I had some left over 4” x ¾” strips from my first card that I wanted to use up. 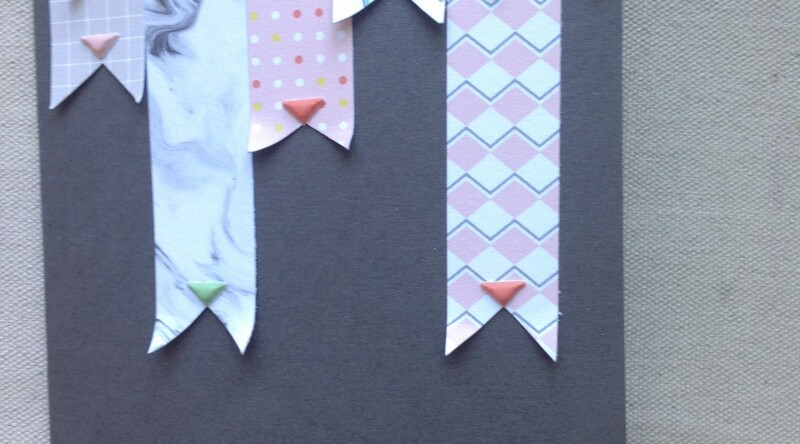 Extra Details: I began by trimming each of my ¾” wide strips into banner shapes. I glued the flat edges to the top of a grey card base. I curled up the tails of the banners and added some puffy stickers. I also wanted to use the silver glitter embossing powder. So I stamped a sentiment in Versa Mark and heat embossed it. The Simon Says Stamp August 2017 Card Kit has arrived. It’s like my birthday at the end of every month. I started by cutting the patterned paper in to 5.25” x 4” rectangles, 6” x 2” strips, and 4” by ¾” strips. 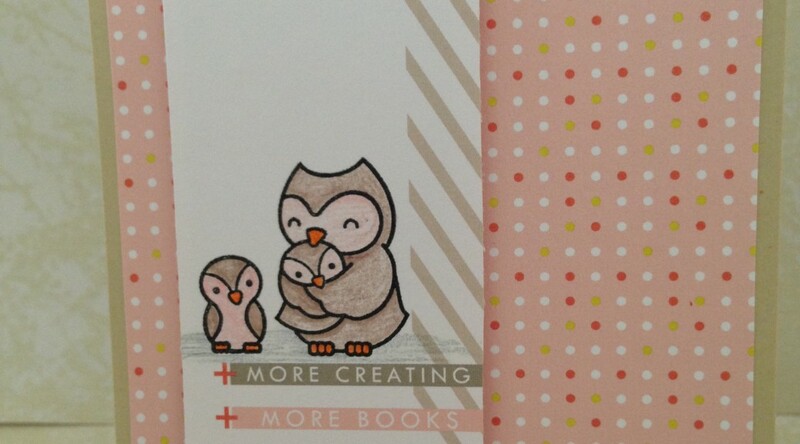 I find if I don’t do this, I will hoard the patterned papers and never use them. This is the first card I made with the kit. Extra Details: I began by creating a grey card base. Then I pulled over all of the 4” x ¾” strips. After playing with the strips for a while, I settled on this design. I adhered the strips flat to the card base. Then, I added a few of the puffy stickers from the kit.